Number IV. -- Volume V.
How much false teaching must there be in support of the different wrong ways, the endless diversities of the Christian religion. As soon as it is shown that there are more right ways than one of obeying the gospel of our Lord and Master, I stand pledged to show that God has more than one way, in force and virtue at the same tlime, of saving souls, * although the Master has said, "a house divided against itself cannot stand." Notwithstanding he has prayed for a union, yet in bareface contradiction of all this, in the face of day, in the face of heaven's high authority, the necessity of divisions is taught from the pulpit! But I am almost ready to grant the clergy this position: Their spiritual laws, creeds, &c. are necessary to keep up divisions. Divisions are probably a necessary safe-guard to public weal while they make so many unconverted converts. This may seem a harsh expression; but, reader, are there more ways than one to make Christian converts? And can you tell ine how many ways there are in operation in Christendom! No two of their mould bring out the same type. By lies and error you may convert man from one error to another. * The Mormon.s must prove this, or their whole system must "go by the board." I would say nothing to the disparagement of this deluded people. But 'tis a disgrace to the Christian character, to the name, to any man who has ever read a Bible, to believe that absurd book, called "the book of Mormon." It is a matter of astonishment and grief to think of a man in the exercise of reason, for one moment, to give credit to this wretched bundle of lies. It must have been written by an ATHEIST, who did not believe that God would ever call him to judgment for lying in his name. A Yankee trick to make money. The author must have studied barrenness of sentiment and expression, a poverty of style, without an equal in the English language, for the purpose of deception. It carries condemnation in every page. One thing rightly considered, is sufficent to condemn it in the eye of all common sense, setting aside the total lack of evidence throughout the whole work -- God never demands faith without evidence. Number VII. -- Volume V.
Streetsborough, Ohio, June 11, 1834. IN Wooster four were immersed, although the Baptist brethren had their state convention at the same time there, and many hearers. There were more to hear us also than could get into the court-house, notwithstanding it was rumored YOU would not be there. My judgment, as well as that of the brethren and the citizens, was, that the most favorable impressing was made; and if Wooster could be well attended a large church might soon be raised up there. There are now seven or eight disciples in the village, But in Aurora the moat was done. Brother Forward, a worthy, talented brother, from Somerset, Pa. was here. The meeting began on Friday. The assembly was very large until Monday evening, by which time 20 were immersed. Brother Forward continued teaching publicly, and from house to house. Thirty-five in all were immersed, among whom were some of our principal citizens. In Mentor, beginning Friday the 6th, our meeting continued four days, and 8 were immersed. The disciples are all rejoicing in love and hope. I have this moment received a letter from brother MOSS, dated Rochester, N. Y. June 1st. He writes he has been to Canada recently -- 41 immersed, and prospects good. Number I. -- Volume VI. "Mormonism Unvailed, or a faithful account of that singular imposition and delusion, from its rise to the present time: with sketches of the characters of the propagators, and a full detail of the manner in which the GOLDEN BIBLE was brought before the world. To which are added, inquiries into the probability that the historical part of the said Bible was written by one Solomon Spalding, more than twenty years ago, and by him intended to have been published as a romance. -- By E. D. HOWE: Painesville, Ohio. Printed and published by the author, 1834." WE feel authorized to say, from the perusal which we bestowed upon this work, that the title-page is no false flag or deceitful label, but that it is as honest a face as is generally to be met before a preface in any of the publications of the present day. Great labor, and care, and solicitude have been bestowed by its author upon the question of the 'Golden Bible,' and the facts involved in the history of this most impudent and atheistical affair. 2d. That the more glaring and shameless the absurdity, the more determined and irreclaimable its dupes. Perhaps we were too sanguine when we thought that the fable was so barefaced that it could not stand upon its legs or palms in the face of day and the American people; but it appears that there are some great knaves, some as great simpletons, and some as dark spots in the United States as in any land on earth; and therefore it is necessary that this book of facts and good arguments should be thrown in the way of this deceived and deceiving band of imposters. I wish it could pioneer the way of the Mormons, for if once the delusion is tasted, there is little or no hope. The waters of Lethe in their fabled powers of stupefaction, were not half so efficient as the infatuation of Mormonism. The humane part of the community are, and I doubt not will, feel themselves indebted to Mr. Howe for the labor and expense incurred by him in the detection of fraud. Number IX. -- Volume VI. Paris, Tenn., July 16, 1835. ... The first time he heard the ancient gospel proclaimed, he recognised it, and went forward and obeyed it, warmly exhorting others to do the same. P. S. Mormonism. The organ of Mormonism, the "Latter Day Saint's Messenger and Advocste," published at Kirtland, Ohio, has the following in it in a letter, signed, "Warren Parrish and Wilford Woodruff, and dated May 16, at Paris -- We have baptized twenty-nine since we wrote you last, making the several branches that we have planted in this vicinity, sixty-four." This same Parrish, under date of Feb. 1st, Paris, Henry county, Tenn., says, "In all there have been thirty-five baptized, and united with this church." In another paper which I have not before me, I think he states that their church here had forty-five in it, I will now state the truth myself. They have but four members in this place; not another that I know of nearer than about eight or ten miles, and not more thatt half a dozen that I know of nearer than fifteen or twenty miles! And these are the men that are making such pretensions to the immediate inspiration, guidance, and gifts of the Holy Spirit.The Spirit of God guides into all truth; but the spirit of Mormonism, alias Joe Smith, guides into error, delusion, and misrepresentation! These men, Parrish and Woodruff, say, "scourgings, imprisonment, and death are threatened." If this is so, I know not by whom. They have preached and spoke what they please here unmolested, and for a good while past not much heard or listened to. J. R. H.
Number X. -- Volume VI. Streetsborough, Ohio, July 17, 1835. WE are going on slowly, I think, in every respect. Brother M. Clapp, I learn, has triumphed over a noted sceptic in Elyria, in public debate. It being court week, there were many present. We have also immersed a good many since May last. But all that is done and doing only shows what might be done if we increased in zeal and unanimity of exertion only as much as we do in knowledge and wisdom in handling the word of the Lord. ==> THE Annual Meeting for 1836, of the churahes in the county of Trumbull, Ohio, will be held at CANFIELD, commencing the Friday before the last Lord's day in August; and that for the churches in Cuyahoga, Huron, and the surrounding country, at WADSWORTH, Medina county, commencing one week after the former -- that is, on the Friday before the first Lord's day in September. We have not yet heard from the Geauga and Ashtabula annual meeting at Mentor for the present year. Number II. -- Volume VII. It has pleased the Lord, in his all-wise providences, sometimes to unveil the opposers of his cause, and to let both friends and foes, even in the present life, see what manner of spirits oppose Reformation, under the mask of zeal for sound principles and practices. In our public attempts to revive and restore the primitive faith and manners, it has been our lot to be opposed and fiercely assaulted by many persons of much influence with the people; and I doubt not but amongst our opponents have been persons of sterling principle and integrity. But with all our charities alive and active, we must confess, that, in our judgment, such opposers have been a very small minority in the host of assailants whom we have had to encounter. Two of the most zealous of these champions for metaphysical regeneration, who have greatly injured us by false representations, have recently been completely unmasked. 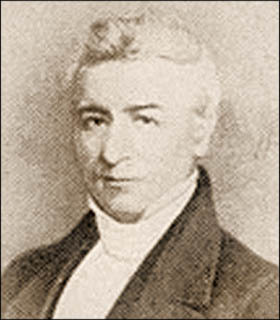 Lawrence Greatrake, a name familiar to the readers of the Christian Baptist -- a Regular Baptist of high Calvinian stamp -- for whom not only many preachers of different shades, amongst the Regular Baptists, but also amongst the Presbyterians, had much affection as a defender of their faith, and for whom they opened their meetinghouses, pulpits, and purses, because of his sayings and doings against us -- after offering much incense at the shrine ot Bacchus, this militant preacher of the popular doctrine has openly renounced Jesus Christ as an impcstor; and, as recently and credibly reported here, has put on the profession of Atheism.... Dr. Sleigh is one of those who stoutly and clamorously pleads for hypercalvinistic metaphysical regeneration, as his debate wilh brother Johnson, of Kentucky amply testified; and like his brother Lawrence Greatrake, he was wont to appeal to his own experience for the truth. EDITOR. Number IV. -- Volume VII. WESTERN RESERVE, Ohio, March 14th, 1836. THE meeting of the tenching brethren took place in Warren, according to appointment. It continued from the 5th to the 13th instant, and was attended with much happier results than any of us anticipated. There were sixteen of the speakers present, They are the following: -- Adamson Bentley, Cyrus Bosworth, Simons Rider, Marcus Bosworth, John Henry, William Hayden, Ebenezer Williams, Amos Allerton, Jonas Hartzel, Benjamin Alton, (part of the time,) Zeb. Rudolph, Darwin Atwater, Jasper J. Moss, Matthew S. Clapp, James Gaston, and A. G. Hayden. The brethren met at 8 o'clock of each morning, (except Sundays,) for mutual improvement; and the congregation having been invited to attend at 10, the time was spent from that till 12 in exhortation. In the afternoon there were two discourses delivered; and in the evening, one. The size of the congregation and the interest of the meeting increased daily. Many of the citizens who had never given a full hearing, were pleased to hear better things from us than they thought we believed. Much prejudice was removed, and the feelings of the community seemed to be much softened. The subjects of exhortation on three of the mornings, I will mention. The first was parental influence and family government. Several of the brethren spoke, showing the duty of christian parents to their children, and the aid that the cause of truth would receive from a discharge of their duties. This was so forcibly exhibited, that its importance must have been felt by all that heard. One evening brother Clapp delivered a discourse on prayer. Next morning that was the subject of remark. The privilege of the sons of sorrow to obtain consolation at the throne of mercy, was very feelingly set forth; and the negligence ot the brethren in this respect was sharply reproved by the scriptures and arguments that were presented. The subject of practical preaching was proposed, Most of the brethren spoke on this subject. It was their united opinion that it is best to to have as little as possible to do with a spirit of warfare; that the time is passed in these parts, when it was justifiable to disclose, by a direct attack, the errors of apostate christendom; that it is more in accordance with the spirit of the Saviour and the practice of the Apostles, to warn, to beseech, and to exhort, than to indulge, as has been done too much, in disputatious declamation. The brethren were very hearty in their admonitions to each other, and I am certain that they are all determined to reform in manner, in diligence, in zeal, in devotion. While the meeting was in progress, thirty-seven confessed the Lord, and commenced to walk in his ways, This number makes upwards of sixty that have been immersed in the neighborhood of that place since the 15th of January. Number VIII. -- Volume VII. NOTES ON A TOUR TO THE NORTH-EAST -- No II. FROM Ravenna we set out for Cleveland, where, after a tiresome and protracted journey over the most dismal roads over which a mail stage could be imagined to pass, in consequence of the late copious rains, we safely arrived at the time appointed. We are never fully sensible how much we owe to that Eye "which slumbers not nor sleeps;" for our deliverance from harm and from danger: but there are certain occasions which more forcibly remind us of our obligations, and call forth our grateful acknowledgments to Him who is the guide and the guard of those who commit their steps to his direction. We spent the whole night on the road from Hudson to Bedford, a distance of only twelve miles; thus carrying the mail at the rapidity of one mile and three quarters per hour! We had only to walk some four or five miles through mud and swamps, and to abandon the coach some six or seven times to prevent upsetting and the breaking of our bones during the night watches. We mercifully, and sometimes barely escaped the disaster of being upset; and with no other detriment than mud and water and fatigue, completed our journey of forty miles in something less than a day. Cleaveland is, as far as our personal knowledge extends, the most flourishing and the most beautiful town in Ohio, and is, we think, destined, at no very distnnt day, to be the great emporium of the northern section of the state. It commands the advantages of the Lake commerce, with that of the canals of Ohio and New York, and is situate in the midst of a fertile and rapidly improving country. Like many other townsof the West in their first settlement, the village has been, and still is, greatly infected with the [fruit?] of infidelity. From it has emanated much of the skepticism which has impeded the march of the gospel in certain districts of the surrounding country. We therefore thought it expedient, in reference to the circumstances of the whole community, religious and irreligious, to dellver a few lectures on the evidences of our religion; and to excite all attention and interest, we chose to invite all the doubting and undecided to state their objections in public, and to open their difficulties to full and free discussion. On Saturday, and thrice on Lord's day, we addressed the public in the court-house on these great themes. We had a very full and attentive audience; and in conclusion of our first address on Lord's day one of the leaders of the sceptics arose and requested liberty to offer some objections. License being granted, be went on to state some very stale and feeble objections against the nature of the evidence we had to offer in proof of the authenticity of the sacred booke, and dwell at some length on the remarkable silence of all antiquity on many of the extraordinary facts reported by the Apostles and Evangelists. In conclusion of our forenoon address we had observed, that were the New Testament extinct in its present form, we could make out a regular history of Jesus Christ from the writings of unbelieving Jews and Pagans who had flourished in the first ages of Christianity. For example -- we aflirmed that from the writings of Josephus, Tacitus, Suetonius, Pliny the younger, and the decrees of the Emperors Trajan and Adrian who lived in the first century, together with certain, references found in the reigns of the two Antonines, and in the writings of Lucian of Srtmosata, in the first half of ehe second century, sustained by the direct attacks of the three first writers against the Christian religion -- viz. Celsus, Porphyry, and Julian the Apostate; we could make out a very full statement of all the leading and important facts and events written by Matthew, Mark, Luke, and John. At this the gentleman seemed most of all indignant, as his aim was to show that the Christian Faith rested upon exparte teslimony alone, and that were the Christian books destroyed we should have no monumental record of those alleged facts and events which constitute the sum and the substance of all that is called Christian faith and Christian religion. The gentleman (Mr. had Kelley, as 1 afterwards learned) showed a strong disposition to represent all these witnesses as incompetent, because of the times and places in which they lived as too remote to entitle their statements to any credit, and insisted on our producing testimony free from all ambiguity. After hearing his objections, the congregation was dismissed till the afternoon, at which time we proposed to consider his remarks. Brother Matthew Clapp, who happened to be on the ground, as I had contracted a severe cold and hoarseness, was called upon to reply in the afternoon -- which he did with much point and argument. He showed conclusively how the divine procedure towards the seven nations was characterized with mercy as well as with judgment, and that the extirpation of those who could not bc reformed was always a benefit to society at large; that as the Pentateuch contained the municipal laws of the Jewish nation, it was necessary that such sins should be described in it as it prohibited; and that the laws of every Christian state were as worthy of not being read, pro modestia, as those of Moses, because thev named and sometimes described the sins prohibited. He also fully demonstrated, as far as the objections were preferred, that there is no interference whatever between the Newtonian philosophy and the records of Moses. Meanwhile, Dr. Samuel Underhill appeared as the advocate or defender of skepticism, and solicited to be heard on the subject, as the only person who was likely to appear for that fraternity. He stated that there was no organized body of infidels in the place, but felt assured that he had the confidence of them all, and that none of them would wish to be heard afler him. He wished to have an opportunity of speaking at length upon all the premises. Brother Bentley, who presided on the occasion, had before suggested that it would be unedifying to go over the whole ground, and that only some leading objections should be fully discussed; and this according with all our experience, was adopted as the better course. The Doctor, just having returned to town) had not heard my previous discourses, and therefore we agreed to select some leading position if he could not find in my reply to Mr. Kelley something to object. We adjourned till Tuesday morning. Meanwhile we had the pleasure, in the midst of our discussions, to be called to the river to hear the confession of six converts who were immersed into Christ by our brother Adamson Bentley. LAKE ERIE, June 11, 1836. Thus the Mormonites, in our own day, while they sought to minister to this passion by the old wives' fables of the Book of Mormon, and a pretended revelation of the fortunes of the lost tribes of Israel, the origin of the lndian nations, free-masonry, &c. have labored assiduously to keep up the delusion by claims of miraculous power, and mysterious visions, and the novelty of a splendidly decorated and gorgeous temple. Number IX. -- Volume VII. NOTES ON A TOUR TO THE NORTH-EAST -- NO. III. THE citizens of Cleveland having displayed a commendable interest in the investigation of the claims and pretensions of the Christian religion, and the Presbyterian meeting-house having been very courteously opened for the accommodation of those who wished to hear, we felt very solicitous to afford every facility for a ftimiliar discussion of the great question, and therefore tendered to the assembly present an opportunity of putting forward whom they pleased -- of selecting their best teacher of infidelity to interrogate us, or to propound whatever objections they had to offer against Jesus Christ and his gospel. Mr. Kelley having volunteered in the cause, we were not sure that he had lhe confidence of the brotherhood: if he had their commission, we had no objections to hear him still farther; but of this we desired some assurance, lest it might. be afterwards said that his sceptical brethren had no confidence in him. However, we agreed to hear him for another hour, until they had taken some order on the subject. I think it was stated in my last (yet in this I may be mistaken, as I have not a copy of that number before me) that brother Matthew Clapp fully obviated the objections alleged by Mr. Kelley on the forenoon of Monday, in a discourse of the same length in the afternoon. A severe cold and hoarseness constrained me to take little part in the discussion of that day. I was, indeed, much relieved by brother Clapp, who has fully proved his ability to sustain the Christian cause against my spirit which the infidels of that section can bring into the field. Thus, after enjoying, with many others, the very kind hospitalities of our benevolent brother Hawley and his amiable family for several days, and various demonstrations of respect and good will from citizens of all parties, we retired in the evening of that day to our good but afflicted brother Wightman's in the country; and after spending a pleasant evening with himself and fomily, on the next morning we embarked on Lake Erie for the state of New York. POMPEY, N. Y., July 12, 1836. EXTRA, NO. I. -- NEW SERIES. To all those brethren in Virginia and elsewhere, who have either in their individual or social relations addressed me on the meaning and tendency of an opinion expressed in reply to some queries from a sister in Lunenburg, Va., the following pages (though on another subject) are very respectfully and affectionately inscribed -- by their fellow-citizen in the present kingdom of the Messiah. A. CAMPBELL. All bodies, natural, political, and religious, are subject to various diseases and calamities. They are so in every period of their existence; but more especially when their growth is rapid and their system plethoric. All diseases, however, are not mortal. Unpleasant though they all are, many of them are remedial and salutary. Fevers, biles, and ulcers have saved many a life; for whatever is feculent or deleterious in any system must finally destroy it or be destroyed. Religious communities are of very delicate constitutions, and consequently subject to frequent attacks of disease. Sometimes, indeed, the whole head is sick and the whole heart faint, and from the crown of the head to the sole of the foot it is one corrupt mass of wounds, and bruises, and putrifying sores. In such cases medicine is wholly unavailing. At other times there is only a slight indisposition; but in this unfriendly climate slight indispositions in the Christian body often suddenly progress to serious maladies. Hence it is of importance that the first indications be immediately attended to, and that salutary remedies be timously administered. An important crisis has occurred in our community which calls for prompt and decisive measures. It is indeed favorable that it requires more courage than skill to apply a suitable remedy. It is easier to discuss a tumor or a bile on the surface, than to remove an imposthume from the liver or a cancer from the heart. Besides, the former diseases me more frequently the misfortunes of a good and healthy constitution than the latter. The spirit and soul of all reformations is free discussion. Every reformation in society has been the offspring of free investigation. -- Hence arose the difficulties, which have generally checked their progress, or essentially impaired their strength and durability. To set the mind adrift, free from all human authority and control; to grant an almost illimitable indulgence to investigation; to invite all men to reason and decide for themselves on all matters -- is always more or less a dangerous experiment, and requires very justifiable objects and ends to hazard all the consequences. Along with this, and kindred to it, is the doctrine of equal authority in all persons -- of equal rights to speak and hear on all subjects. in religions agitations this too involves rights of conscience, which are always paramount rights. Hence it follows that this state of society is always favorable to ambltlous and demagogical spirits, those everlasting troublers of Church and State! This class of licentious opinionists and agitators eulogize free discussion, liberty of speech, of conscience, and of the press, until their objects are gained; while generally they are themselves the veriest tyrants in the world. Now to withstand such gentry, who have so much philosophy and common feeling along with them, is no very pleasant task; and, indeed, to inhibit this spirit in certain states of society would be not only impolitic, but unjust and yet not to restrain it would be to keep a community perpetually in a state of revolution. Foreseeing these tendencies and results, or rather learning from the history of past ages what had always happened in certain circumstances, in commencing the present reformation it was fully argued and submitted that opinions upon all subjects not revealed were private property, and that no citizen of Christ's kingdom had either a right to demand or propound them with any authority whatever. The faith is common to all and necessary to all; for all must walk by it: but no Christian is obliged to walk by the opinion of any man on earth. We have indeed met with some two or three infallible, or rather indomitable spirits, who, while they admitted the propriety of this course in reference to others, would not be governed by it themselves. Of this class was Sidney Rigdon, of Mormon memory. Exceedingly fond of new ideas, and always boasting of originality, he sought distinction by his lucubrations on the Prophecies. He became a flaming literalist of the school of Elias (Smith,) a Millennarian of the first water; and becoming more and more restive and ambitious, he dealt out his new and untaught discoveries with an enthusiasm worthy of a better cause. Finally, having discovered the Golden Bible, he and Joseph Smith covenanted for a new religion, and delivered us from a great calamity. And now I fear we are about to find, or rather have found, in the person of Dr. Thomas, another of these infallible dogmatists, so supremely devoted to his own opinions, and his own glory in defending them -- so confident in asserting them -- so diligent in propagating them, that, to oppose him is, as he avers, to call the doctrine of the conditionality of eternal life, materialism.